Welcome to my shop! I am Natallie and my goal is to turn your interior into unique and remarkable place. Each one of my prints is designed with love and precision! There are THREE wallpaper materials available in my shop! You can easily find something that suits your needs best. 1. PEEL & STICK – who isn’t crazy about self-adhesive & removable material?! This option is best for mercurial personality people. If you’re planning to change the placement of the wallpaper in a future, for an example: from a bedroom to an office – choose Peel and stick! It’s a material very easy to install – works pretty much like a big sticker. In case of any errors during installation, you are able to reposition it without damaging the wall nor the wallpaper. :) My removable material adheres best to smooth and clean surfaces. You can install it on plastic, glass or wood – let your creativity flow! I do not recommend applying this kind of wallpaper on walls painted with washable paints like latex. It is also required to have a clean and SMOOTH surface - it won't adhere to any textured or bumpy wall. The best thing about Peel and stick is that you need only one friend to help you with the installation! 2. TRADITIONAL – did you just find out that the paint you have on your walls is washable? Are you a person that doesn’t really need a removable material? Does your wall have slight imperfections? If you don’t mind installing the wallpaper in a traditional way, with a wallpaper glue – it would be perfect choice! My traditional wallpaper, which is also named non-woven, has a great quality and excellent structure, that covers all of the small bumps on walls. TIP: I print wallpapers in requested exact dimensions. If you’re afraid of your walls being crooked, it’s safe to add some extra. That would also mean cutting the the wallpaper by your own, but don’t worry – it’s super easy! I ship WORLDWIDE! Wallpapers are sent in secured tubes. Each tube includes: the wallpaper + installation manual which will guide you through the entire process! - outside Europe takes around 2 to 4 business days. If you have any questions or concerns – drop me a message! Sorry, this item doesn’t ship to Norway. Contact the shop to find out about available shipping options. Shop owner is great with prompt communication and questions! What to do in the first place! 1. Right after receiving the item, please make sure if it's free of flaws. 2. Check if the size is correct. 3. Before installing the wallpaper, place all of the panels on the floor and check if they match one to another. After installation, I'm not able to deal with complaints. Please, make sure if your address is updated once you place the order. As a seller, I'm not responsible of a wrongly addressed package by the customer. I require you to provide me with your phone number right after you make a purchase in case of any problems with delivery. If not - the package may return to me. Removable material: supplier recommends to install the wallpaper at least 3 weeks after painting. 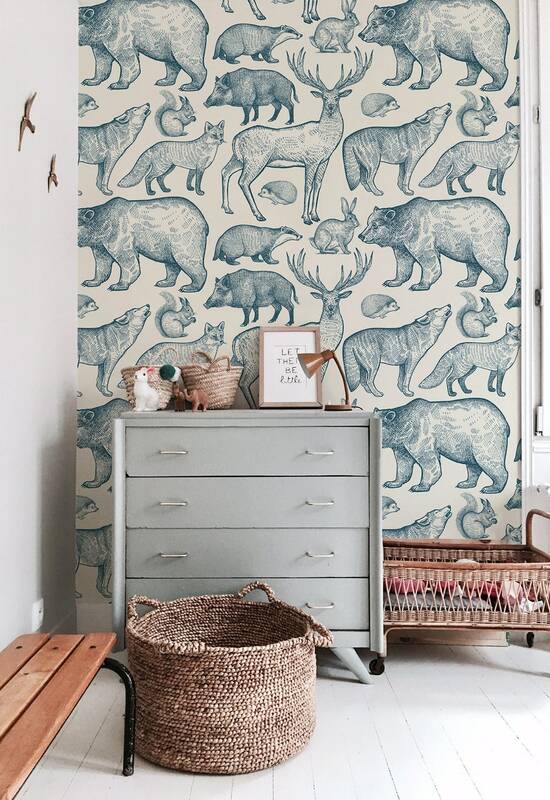 It's risky to place this kind of wallpaper on a wall painted with washable paint (latex). It also won't adhere to textured, bumpy walls with imperfections. Wall has to be completely smooth. Please note - removable material can be applied and peeled multiple times, however it works with solid surfaces only, as it may rip old or badly prepared coatings. Please, shop wise! Customized orders do not apply to return policy. I accept returns and exchanges for standard orders that do not exceed the value of $1400.